Postal service is just one of the many areas of the economy that could soon be affected by automation. 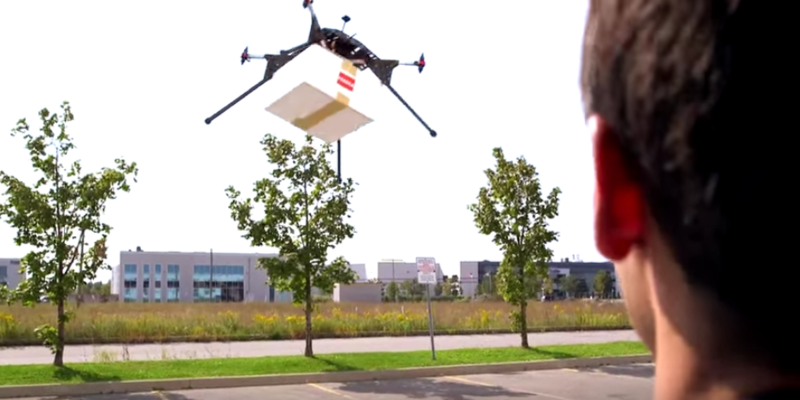 Drone Delivery Canada and Staples are teaming up to pursue the development and commercialization of a drone delivery logistics program. The collaboration will explore the feasibility of developing, implementing and commercializing within the logistical framework that Staples already operates. “This agreement with Staples is potentially transformational for us as a Company,” commented Tony Di Benedetto, CEO of Drone Delivery Canada, in a statement. Drone Delivery Canada received a Special Flight Operations Certificate (SFOC) this past October, which is the first step to achieving Operator Status. Other services in Canada that currently possess SFOC certification are FedEx and Canada Post. “We are the first and only drone delivery company in Canada. Now, with our recently awarded SFOC (Special Flight Operating Certificate) from Transport Canada to test fly, those customers who we were previously in contract discussions are now accelerating their dialogue with us to develop and implement their own drone delivery solution. We are experiencing great traction and are expecting more contract wins in Q4 and Q1 of 2017,” Di Benedetto added. Drone Delivery Canada will work under Transport Canada’s Framework to advance its testing at a specific test site in Southern Ontario. The group anticipates that it will then travel to Foremost, Alberta and Alma, Quebec to conduct further testing.